Across the country, the conversation about access to a quality education has moved to the forefront. This is not a new conversation for Oaklanders, as we’ve been grappling with inequality in our school system for generations. On Wednesday, March 20th, the Oakland School Board will address this conversation head-on by taking a crucial vote on the Community of Schools City Wide Plan. 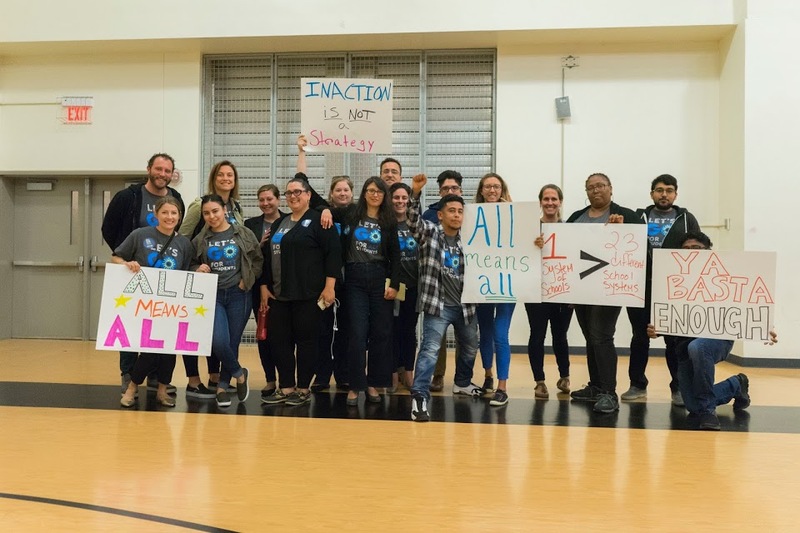 This plan sets the course for OUSD to interrupt educational inequities by creating a unified system of public schools that holds both district and charter leaders accountable for increasing quality, equity, and sustainability. ​Identifying how OUSD can support innovation and increase the number of high-quality school options within the district. OUSD staff have created a plan that includes priorities Oaklanders have asked for and explicitly coordinates them with district policies so they are implemented in concert and not in conflict – and it cannot wait. OUSD leadership must be given the green light to move forward in a bold way through the plan’s emphasis on partnership over competition, proactive innovation over passive response to crisis, continuous improvement over punitive consequences, long-term fiscal sustainability, and stability over short-term fixes. Thank you for taking action on behalf of Oakland students!